Another one from Fitbit. 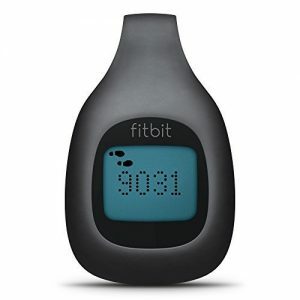 The Fitbit zip has proved popular with fitness enthusiasts across the board. This objective review seeks to explore every fine detail to help users get a clear picture of this fitness assistive gear. This review is a result of a close monitoring of the Fit combined with feedback from other users who have interacted with the popular tracker. What is it’s capability? What makes it stand out from among other trackers? What is not so lit about it? 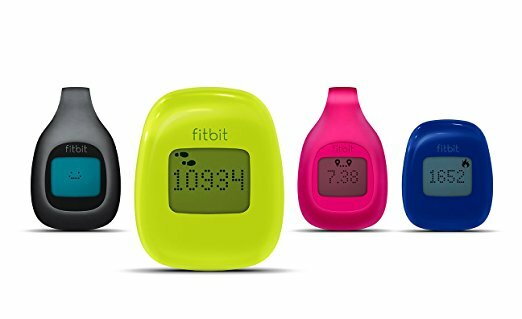 This is a wireless fitness tracker that is used to calculate the number of steps walked in a day, the total distance covered and the number of calories burned. The tracker’s appearance is like that of a wristwatch screen head that has been detached from its straps and one strap replaced with a hook/clip. It is clipped to a garment within the body from where it picks signals from the body and transforms into analyzable data. Ladies usually clip the zip onto their exercise or regular bras, while the neck of a shirt or the waist are more popular clipping positions for men. A Fitbit Zip delivery box contains the tracker head, a clip, a coin battery, and a wireless USB Dongle. The coin battery is a 3-volt Li-ion accessory. It is not rechargeable but can last for up to six months when used daily and can be replaced. The user will also be allowed to download a free Fitbit App from which goals can be set and tracked. A user will need to assemble the head, battery and clip to get the tracker in working condition. The tracker’s head contains a screen on which stats are recorded as a wearer engages in exercise or goes through routine activities across the day. The data recorded from a wearer’s activities is stored on an inbuilt memory and later transferred to the computer or mobile device that contains the synced app. The tracker display also shows time just as a normal watch would. A smiley face is also present on the display, changing according to how pleasing a user’s progress is. It stores performance data for seven days, and the totals of all distances for a period of 30 days. Users earn badges as they go through different levels of set goals. The clip allows the tracker to be fastened tightly to the user’s body. A gift wrap is available for buyers who want to get the Zip as a gift for their loved ones. The Fitbit Zip sells in one size for all users. The assembled tracker measured 0.2 by 1.2 by 1.8 inches and weighs 0.32 inches. It has a large enough display to check stats without much distraction, yet it is light enough to walk around with for the whole day. The Zip model number is FB301M. The shipping package weighs 2.9 ounces, which is still a very minute weight compared to most parcels. Zip trackers on Amazon are available in charcoal, blue, lime, and magenta colours. Once the Zip is acquired, the user goes ahead to download and install a Fitbit app for free. The app is available for Windows 10, Android and iOS devices. The user then creates a Fitbit account where essential details like age, gender and weight are input. These enable the tracker to calculate measurements like stride length and BMR to allow it to calculate the different tracking aspects instructed. Once a Fitbit account is set, the wireless dongle is then attached to the app device and the app is synced to the tracker. From the dashboard, the user is able to set the specific parameters to be measured. The user can also set up a network with friends to compare progress and share challenges. The zip resets automatically every day at midnight and begins a new cycle of measurements. So long as seven days are not over, the data in the tracker is not lost when a reset occurs. This data is stored and transferred to the app dashboard during the next sync. Although data can remain archived for seven days, it is recommended that a sync is done every day. To manually reset the tracker, the battery is removed for ten seconds then returned. A battery will probably drain after six months or earlier if there is more intensive use. To replace a drained, the battery door tool is used to open the rear slot. The slot is turned anti-clockwise and the door is removed together with the battery. The new battery is then slotted with the positive (+) face upwards, then the door is rotated clockwise to lock it. It is recommended that the tracker is synced with the app prior to a battery drain or replacement. The Zip is listed for a price of $140.60 on Amazon. This is inclusive of shipping fees within the US. A two or three-year optional protection plan is available for between $9 and $15. The Zip can easily be maintained by keeping it dry at all times. It should be clipped on parts of the body where it cannot easily fall of or get crushed against hard surfaces. Arms and lower limbs should especially be avoided. – It allows users to network, share challenges, compare progress. encourage each other and congratulate each other when targets are achieved. The Zip is better suited for women than men. The simple attachment to a woman’s bra is something that men will largely miss out on. Men also tend to be more aggressive during workouts, making it more likely to fall out of place mid-exercise. Even the look of the zip is chic. Looks like we have a ladies’ gadget here.